They are the world’s currently highest ranking national team and it’s easy to see why, because their team is absolutely stacked with insane talent! Now adidas are ready to unveil the first of Belgium’s Euro 2016 shirts and they kick things off with the home-shirt. The inspiration for the new shirt is really not hard to spot, and it is of course the national tricolour flag, where red, black and yellow make up the colours. The three colours are combined on a modern shirt, which gives you a really fresh kit. I actually really like it. There is no fuss and it brilliantly shows the national pride the players and fans will feel, when they pull on the new adidas football shirt. 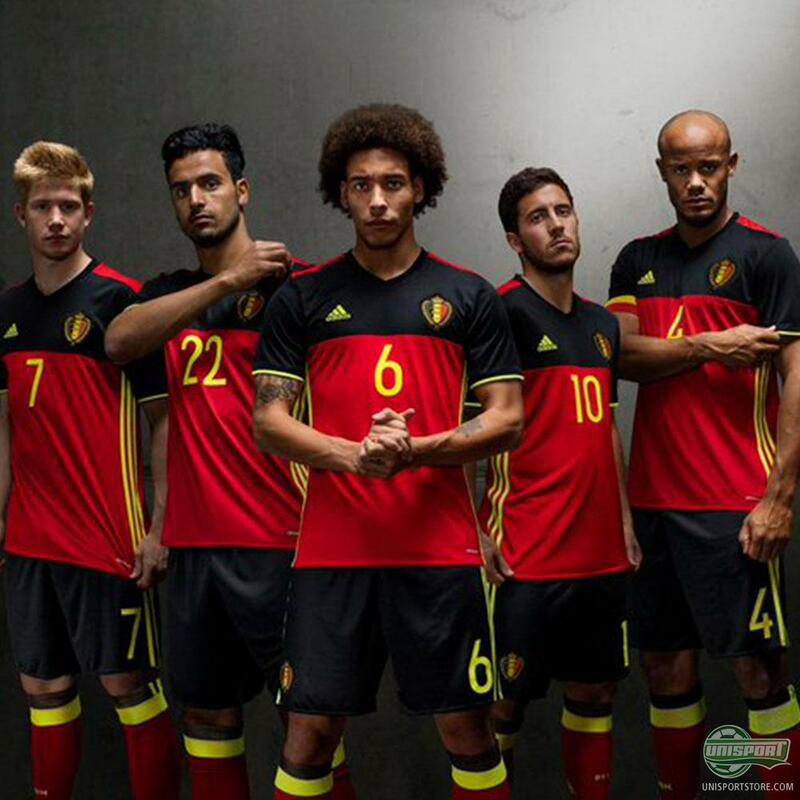 There is a lot of excitement surrounding the national team in Belgium and this shirt will probably do nothing to lower expectations ahead of next year’s tournament in France. How do you think Kompany, Hazard and the lads will do?